In a moment of tightening polls and climbing anxiety for Obama’s supporters, the president’s decision to grant Big Bird a starring role in his campaign this week has presented another reason to reach for the Alka-Seltzer. I agree with others who note it is time for Big Bird to leave the nest and live on all those millions this hugely successful franchise brings in on its own. And we need a new President who doesn’t get so easily distracted and actually knows what he is doing when it comes to the economy, business and jobs. By focusing on Big Bird, Plouffe and Axelrod demonstrate just how tone deaf and out of touch they are with the general populace. They also signal to voters just how in touch they are with Unions and the flock of other various “protected” groups across the nation. They show just how serious their “blinders” really are. They have a myopic view that is so far out of the realm that they saw fit to promote a simple offhand remark into the forefront. Most of the electorate has seen right through this ploy and understands the flailing attempt for what it is – desperate, foolhardy, scatter gun and strategically asinine. Big Bird is a likeable fellow. 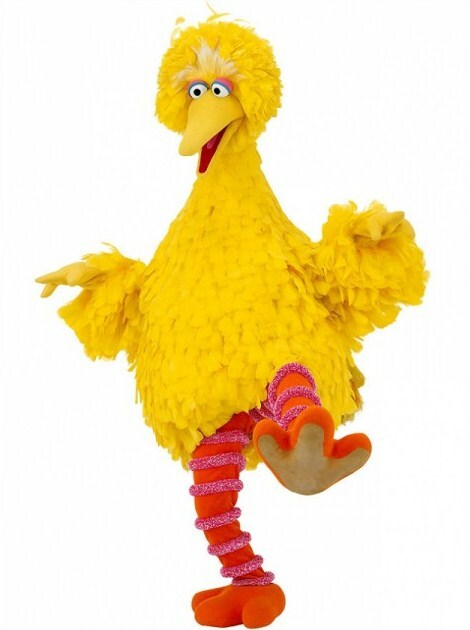 But the Sesame Street franchise makes SO much money that Big Bird actually represents everything that is wrong with sucking at the Government teat when you are fully capable of standing on your own two claws yourself. By attempting to put the scare into everyone that Big Bird might have to leave his own feathered nest and get into the big bad world, the Obama camp has shot themselves thoroughly through both wings and their tail too. Their next attempt at rescuing themselves might want to begin with references to the flight of the Phoenix. At this way point, it would be a far more appropriate avian reference to their campaign.